Looking for Chicken Supplies in Denton County? 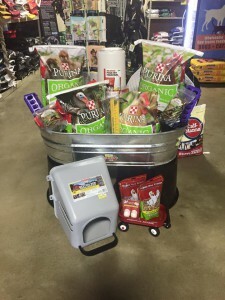 Argyle Feed and Hardware provides a large selection of supplies for customers looking for Chicken Supplies in Denton County. Raising chickens can be hard work, Argyle Feed and Hardware has the supplies you need to get the job done. You’ll find heating lamps, waterers, feeders, chicken scratch & feeds and much more. If you are raising chickens in North Texas, then you have got to come by and check out our great selection of chicken products. In addition to our great selection of chicken products, we also have a knowledgable staff that will do their best to find you the products you need. Come by and see us today to talk about which products are best for the chickens that you are raising. Here at Argyle Feed and Hardware, we are committed to making sure you find exactly what you are looking for. If you have any questions about the chicken supplies that we offer to our customer in Denton county, then please click here to visit our contact page. We will be more than happy to answer any questions you may have.